The present study examines the usage of social media (i.e. Facebook and Twitter) by Members of the European Parliament (MEPs) of the 8th and 7th legislative term. Specifically, it examines the differences in social media usage between MEPs of the current legislature (2014–2019) and MEPs of the preceding period (2009–2014). Moreover, it tests the impact of several predictors on MEPs’ social media adoption and popularity, as measured by the number of social media supporters. Differences in social media usage of MEPs were found to be explained by variables such as parliamentarians’ gender, Euro-party affiliation, and country of origin. Further, the results suggest that the social media popularity of MEPs can be predicted by the European region from which political actors originate, the ideology of their Euro-party affiliation, and the type of committee to which MEPs are assigned. In addition, the study sheds light on how the two platforms (Facebook and Twitter) differ in regard to the factors that impact MEPs’ social media popularity. An earlier version of this paper was published at the conference proceedings of MISNC’18, which was held in Saint-Etienne, France, July 16–18 2018 as Lappas, Georgios, Triantafillidou, Amalia & Yannas Prodromos (2018) “Social Media Adoption and Popularity of Members of the European Parliament”, MISNC ‘18, Proceedings of the 5th Multidisciplinary International Social Networks Conference, Article No22, Saint-Etienne, France, July 16–18 2018, ACM New York, NY, USA, ISBN: 978-1-4503-6465-2, https://doi.org/10.1145/3227696.3227722. This paper presents new data in comparison with the conference paper. The authors would like to thank Dr. Yannacopoulou Anastasia for her constructive comments in the revised version of the manuscript. Sweeney, M. (2018). Peak Social Media? Facebook, Twitter and Snapchat fail to make new friends. The Guardian. https://www.theguardian.com/media/2018/aug/10/peak-social-media-facebook-twitter-and-snapchat-fail-to-make-new-friends. Accessed October 24, 2018. Glassman, M. E., Straus, J. R., & Shogan, C. J. (2013). Social networking and constituent communications: members’ use of Twitter and Facebook during a two-month period in the 112th Congress. CRS Report for Congress. http://piperreport.com/wp-content/uploads/2013/04/Social-Media-Use-by-Congress-CRS-March-2013.pdf. Accessed October 28, 2018. Williams, C.B. & Gulati, G.J. (2010). Communicating with constituents in 140 characters or less: Twitter and the diffusion of technology innovation in the United States Congress. SSRN, http://ssrn.com/paper=1817053. Piedrafita, S. (2014). Who calls the shots in the committees of the new European Parliament? CEPS Special Reports. 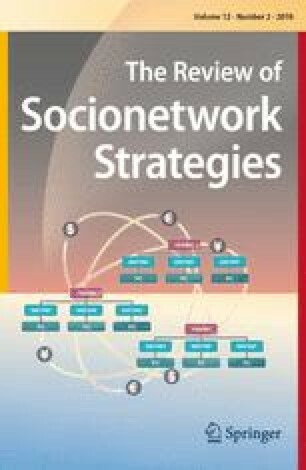 https://ssrn.com/abstract=2531602. Accessed October 22, 2018. Marcilly, C. (2014). Assessment of and lessons learnt during the 7th Legislature of the European Parliament 2009–2014. European Issues, No. 309. Foundation Robert Schuman Policy Paper. https://www.robert-schuman.eu/en/european-issues/0308-assessment-of-and-lessons-learnt-during-the-7th-legislature-of-the-european-parliament-2009-2014. Accessed October 28, 2018. Bogle, G., Champagne, M., Swartz, M., & Hughes, J. (2013). Comparison of congressional social media and cosponsorship networks in the 112th House of Representatives. Paper presented at Sixth annual meeting of the political networks section of the American Political Science Association (APSA). http://www.polinetworks.org/uploads/papers/Twitter_cosponsorship_final_mc.pdf. Accessed October 22, 2018.